Chicago is a city filled with history and many different corners and avenues to explore. When we travel to Chicago as adults, finding things to do is easy. There are jazz bars to enjoy, eateries to try, and shows to catch. But some of us are traveling with children and on a bit of a budget. Therefore, finding things to do in Chicago can be a little more difficult. No one said it was impossible because there are still plenty of fun and free things to do in Chicago for kids. Many of us know Chicago for the gangster background it has and the business mogul ideas it currently celebrates. 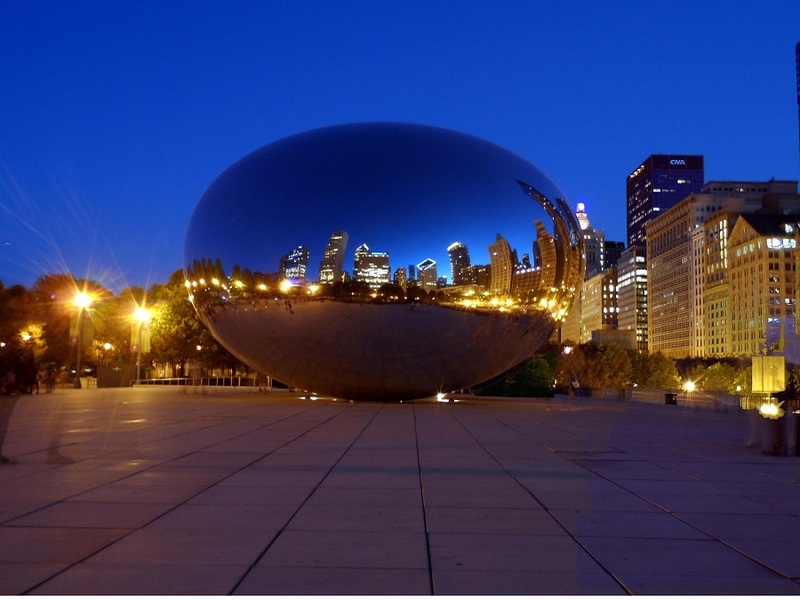 But there is an artistic side as well, and that history (no matter how dark) has helped turn Chicago into one of the most visited and iconic cities in the country, let alone in the Midwest. 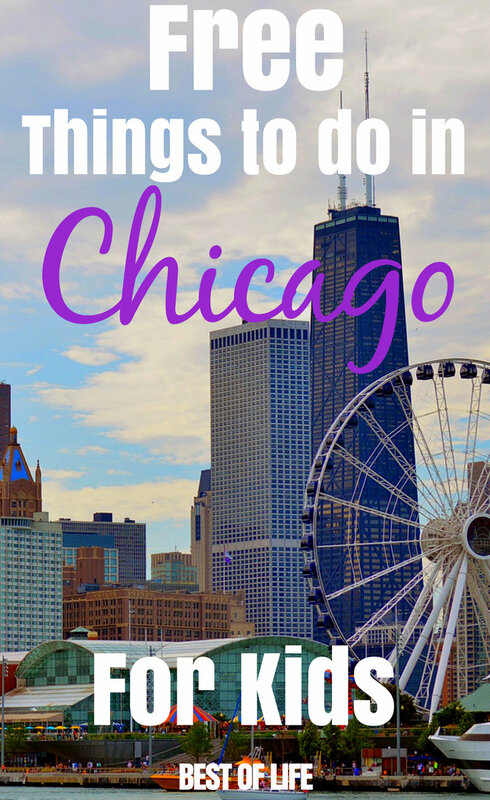 Kids can enjoy Chicago as well and it doesn’t have to cost much to show them around the windy city. 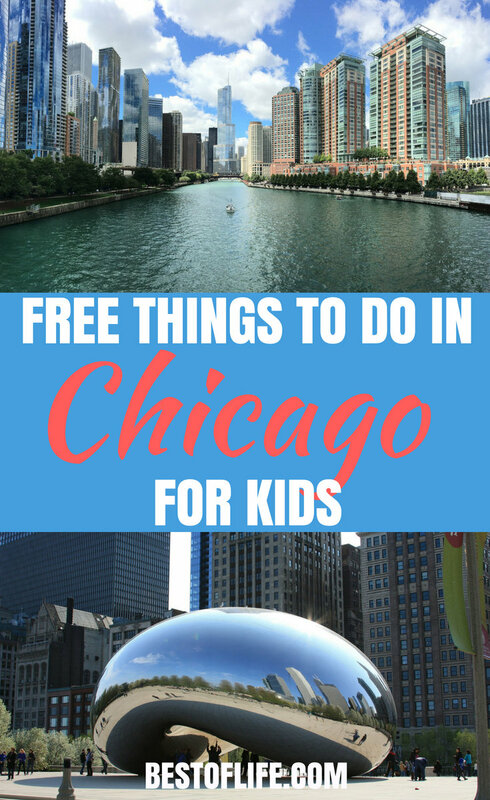 There are many different free things to do in Chicago for kids and you will find that you enjoy them just as much as your kids do. The Navy Pier is one of the most popular destinations in Chicago with amazing views of the lake and of the city skyline. However, there is little to do here that is free. In fact, the only free thing to do is the Children’s Museum. On the first Sunday of every month, from 5 p.m. to 8 p.m., admission is free for everyone. The architecture of Chicago is well-known, and many of the residents value the art of architecture and building. The Lego Store hosts a free monthly Lego Build every Tuesday. This is a great way to get out of the house (or out of the rain) and it will be time well spent. Keeping in line with that idea of building, Home Depot offers free Kids’ Workshops once or twice a month. These workshops allow kids to get hands-on experience building things and they even get to keep what they work on. When the workshops are going, they start at 9 a.m. and end at noon. While Chicago doesn’t have ocean shores, it does have lake shores — a whole 26 miles of them! The beaches alongside the lake are just as amazing as ocean beaches and have different activities going on all throughout the year. It’s also the perfect place for a family picnic — just throw some sandwiches, drinks, and snacks into an insulated bag and you’re set! From June to August, Millenium Park is turned into an outdoor movie theater with family-friendly movies. The city breaks out a 40-foot LED screen and everyone can claim their seat at the Jay Pritzker Pavilion. If there is no room in the pavilion, a seat on the Great Lawn will do just fine, maybe even better. Dates differ from year to year but it usually happens on the weekends in summer. Summertime is a great time to visit Chicago thanks to the many different festivals. One of the best festivals happens in Millennium Park and is called the Free Family Fun Festival. The festival is filled with arts and crafts, music, educational activities, and so much more. Northerly Island is a great place to take the kids for a day out in the sun during summer. There are hiking trails, biking trails, and sometimes there are special events that have a family-friendly vibe to them. The Chicago Riverwalk is the picture-perfect place to go for a walk or to ride a bike. There are activities all along the trail that will come at a cost but the trail is free and open to everyone. You can bring your own bike and ride along the trail or just take a slow walk and look at all of the buildings. Most zoos charge an entrance fee, but not Lincoln Park Zoo! No one pays for admission to the zoo and it is open from September to May every year. Enjoy your time at the zoo with the little ones, but be sure to wear comfortable walking shoes and pack your sunscreen! The Buckingham Fountain is a beautiful place to spend the day but at night, it gets even better. After the sun goes down, the fountain puts on a water display with lights and music every hour, on the hour. The show lasts 20 minutes and will keep children entertained. Montrose Point Bird Sanctuary is a 15-acre bird paradise filled with songbirds during the fall and spring. There is a pathway that goes from the meadow to the beach, then the dune, and finally the pier. It makes for a fantastic day out with the whole family. Be sure to bring binoculars so that you can catch some fun sightings of birds and any other wildlife that may be around during your visit.